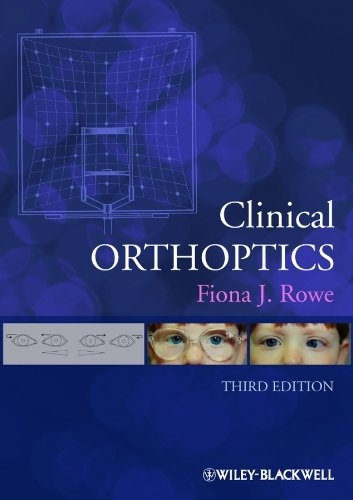 Clinical Orthoptics has become established as a basic reference text providing fundamental information on anatomy, innervation and orthoptic investigation, plus diagnosis and management of strabismus, ocular motility and related disturbances. It is aimed at trainee ophthalmologists and orthoptic undergraduate students. 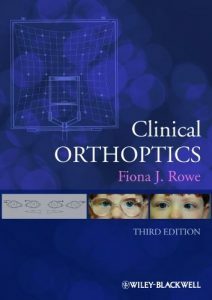 Qualified orthoptists, general ophthalmologists and optometrists will also find valuable guidance in these pages. In this edition, the author has maintained the goal of producing a user-friendly, clinically relevant and succinct book, while revising it to reflect a variety of developments in the field. Orthodontic Treatment of Impacted Teeth provides its readers with a gold-standard resource to tackle common, complex and multi-factorial clinical scenarios. Rooted firmly in the scientific reality, it also provides a valuable repository of the evidence-base for this subject area. 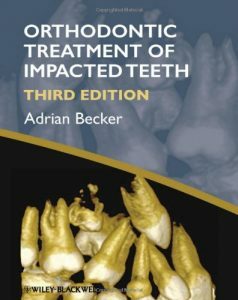 The third edition of this classic text has been fully revised and updated to reflect the latest advances in research and clinical practice. It discusses recent developments in the periodontal outcome of surgical exposure of impacted teeth, and also incorporates more protocols for routine cases. This enables clinicians to develop their skills in the simpler cases, as well as to improve their understanding of complex and rare presentations. An especially useful chapter looks at failure and impending failure, providing a valuable insight into the real-life management of impacted teeth. The author describes how to recognize failure and proposes ways to avoid it, frequently illustrating them with cases from his own clinic. 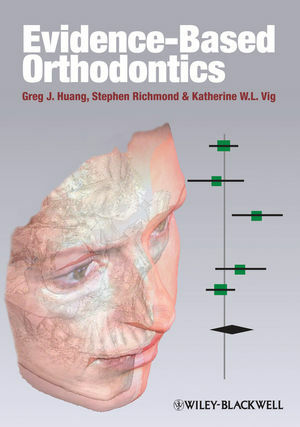 This land-mark text is the first to be devoted to the methodology, principles and practice of evidence-based practice in orthodontics. It aims to serve as a reference for those wishing to understand the principles of evidence-based practice including the foundation for clinical study design, epidemiology and the statistical inferences from data. The ability to define a search strategy from established databases and to identify relevant clinical and translational research in the scientific published literature requires a new approach in orthodontic education. Evidence-Based Orthodontics provides a contemporary approach to those strategies in clinical orthodontic practice. The growing ability to translate critical appraisals of evidence into clinical practice and evaluate clinical evidence for its validity and potential usefulness requires an understanding of basic elements in epidemiology and biostatistics. From bioinformatics to nanotechnology, advances in basic research ultimately drive advances in clinical care. 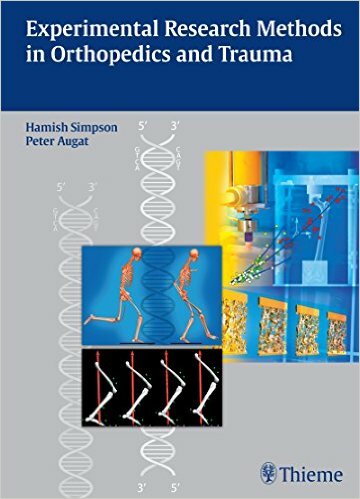 This book provides a comprehensive summary of all current research methodologies for translational and pre-clinical studies in biomechanics and orthopedic trauma surgery. With this roadmap at hand, specialists and trainees will have the tools to conduct high-quality experimental research in any area of musculoskeletal science, with a solid understanding of how the findings can be applied in patient care. Special Features: * Utilizes the principles and methodology of modern, evidence-based medicine in pre-clinical musculoskeletal research * Offers a comprehensive analysis of in vivo models for studying different components of the musculoskeletal system* Demonstrates how principles of structural, functional, and numerical biomechanics can be utilized in well-defined experimental research studies spanning topics from fracture fixation to gait analysis to bone remodeling* Covers the role of new macroscopic CT and ultrasound imaging techniques for assessing bone and cartilage function * Explores cutting-edge developments in cell culture research, molecular testing, and tissue engineering * Provides practical advice, a glossary of key terminology, and hundreds of illustrations to familiarize clinicians with every aspect of designing and interpreting an effective research study With 54 state-of-the-art chapters by orthopedic surgeons, musculoskeletal physicians, biologists, engineers, physicists, and mathematicians, Experimental Research Methods in Orthopedics and Trauma is the authoritative reference on the topic. It is essential for clinicians, basic researchers, and orthopedic surgical trainees who need to understand experimental research methodology, apply its findings, and participate fully in research activities. This books presents essentials of modern limb lengthening techniques and procedures performed at the Rubin Institute of Advanced Orthopaedics at Sinai Hospital in Baltimore, USA. It discusses the use of the Taylor Spatial Frame, ISKD, Ilizarov circular fixators and the LRS rail external fixator. Case examples include deformity correction and lengthening for congenital conditions such as congenital femoral deficiency, fibular and tibial hemimelia and clubfoot. Stature lengthening for achondroplasia is shown in detail. Case examples include more than 700 digital photographs and illustrations shown in step-by-step intraoperative detail. The author discusses indications for surgery, complications and outcomes and cites current literature. Emergency care professionals are increasingly expected to work autonomously when caring for patients with minor musculoskeletal injuries and conditions. They have to be able to competently and safely take a patient s history, examine, diagnose and provide management of these conditions. 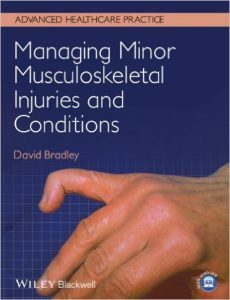 Managing Minor Musculoskeletal Injuries and Conditions pulls together all these aspects of care into one practical, easy–to–read text. 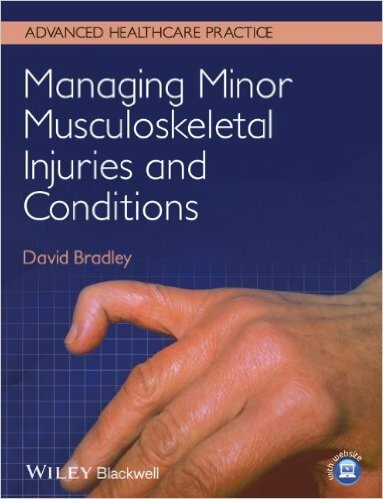 Aimed principally at students undertaking minor injury and emergency care courses, this title is a comprehensive manual of minor musculoskeletal injuries and conditions, highly illustrated throughout and containing a variety of activities and exercises. It is indeed a pleasure to write the foreword to this useful book which describes the most commonly used orthopedic clinical diagnostic tests to assist a wide audience within the medical world. The organization of this book is easy to follow and logical. Each chapter begins with the patient’s initial presentation, which is followed by an outline of the need to take account of speci? c variables in arriving at a differential diagnosis. The author und- lines the importance of using the patient’s own account as a va- able tool in reaching a diagnosis. 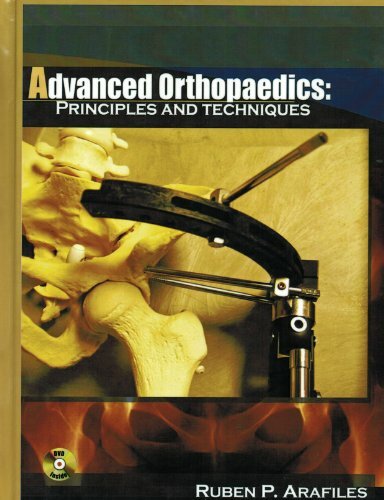 Essential anatomy is included throughout the book. For ease of reference, all the chapters are similarly structured. Its style is simple and uncluttered, offering a step-by-step approach and avoiding overlong explanations. All in all, this book ful? lls the criteria of a reference book, a practical guide, and a succinct aide memoire for those preparing for exams. It is truly a text for everyone who must conduct orthopedic examinations, including medical students, general practitioners, and orthopedic residents. 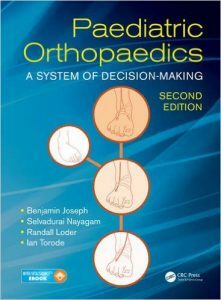 It is an outstanding contribution to the orthopedic literature. 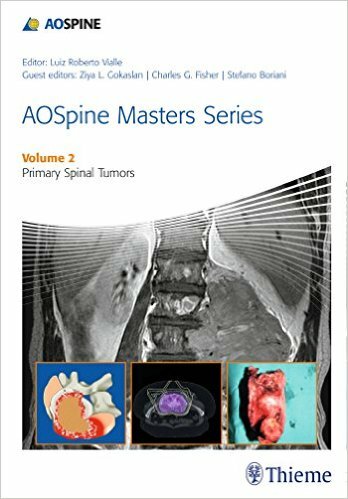 This second volume in the AOSpine Masters Series balances critical appraisal of current evidence in spine oncology with the opinions of experienced spine surgeons to create a unique clinical reference for spine oncology surgeons. The book provides expert guidance to help clinicians make the right treatment decisions and provide the best care for their patients. The chapters have been written and researched by key leaders in spine oncology and range from general evaluation, staging, and decision making principles to histology-specific oncologic patient management. Key Features: * Editors are internationally-recognized authorities on the treatment of primary spine tumors* Synthesizes the best available evidence and consensus expert advice on primary spine tumors, leading to optimal clinical recommendations * Each chapter includes clinical pearls, tips on complication avoidance, and top 5 must-read references The AOSpine Masters Series, a co-publication of Thieme and the AOSpine Foundation, addresses current clinical issues whereby international masters of spine share their expertise and recommendations on a particular topic. The goal of the series is to contribute to an evolving, dynamic model of an evidence-based medicine approach to spine care. 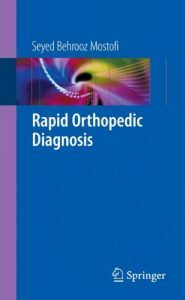 All neurosurgeons, orthopedic surgeons, neuro-oncologists, and orthopedic oncologists specializing in spine, along with residents and fellows in these areas, will find this book to be an excellent resource that they will often refer to in their treatment of patients with primary tumors of the spine. This third volume in the AOSpine Masters Series covers the most common operative techniques for treating degenerative cervical conditions. The book provides expert guidance to help clinicians make the right treatment decisions and provide the best care for their patients. Chapter topics range from Laminectomy and Fusion for Cervical Spondylotic Myelopathy to Complications on Anterior Surgery: VA Injury, Esophageal Perforation, and Dysphagia. 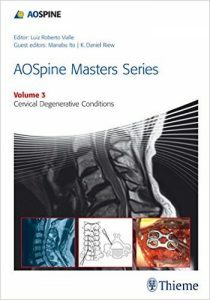 Key Features: * Synthesizes the best available evidence and consensus expert advice on each operative technique for degenerative cervical conditions, leading to optimal clinical recommendations * Editors are internationally recognized authorities on the treatment of degenerative cervical conditions* Each chapter includes tips and pearls from leaders in the field The AOSpine Masters Series, a copublication of Thieme and the AOSpine Foundation, addresses current clinical issues whereby international masters of spine share their expertise and recommendations on a particular topic. The goal of the series is to contribute to an evolving, dynamic model of an evidence-based medicine approach to spine care. All neurosurgeons and orthopedic surgeons, along with residents and fellows in these areas, will find this book to be an excellent guide that they will consult often in their treatment of patients with degenerative cervical conditions.